According to Dr. Elsey’s—the company behind the #OrangeInside campaign to help lost indoor cats return home—fewer than 5% of missing indoor cats will ever return to their owners. In most cultures, cats aren’t seen as exclusively indoor pets. A cat wandering alone on a city street doesn’t raise alarms the way that a lone dog does—especially if that cat’s not wearing a collar. A collarless cat is usually dismissed as “just a stray” or a feral cat. 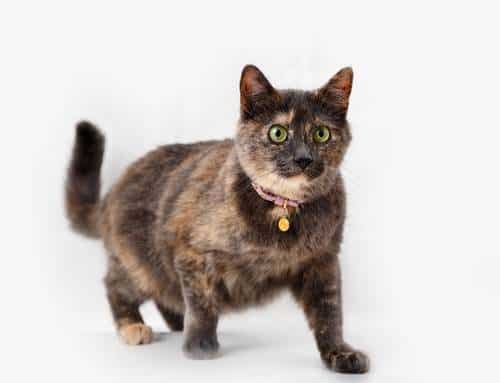 If your cat slips out of the house and wanders away from home, they could pass through dozens of backyards before anyone considers that this solo cat might have a human family wondering where they went. While a collarless cat is almost indistinguishable from a feral, a collar alerts local cat lovers to an animal who has wandered away from home. In this article, you’ll learn how to choose a great collar. Let’s start with what makes the best cat collars better than the rest. 1. The best cat collars make it easy to escape if your cat gets caught somewhere. When cats get into a tight spot, a breakaway buckle ensures that the collar won’t twist and tighten as they struggle. 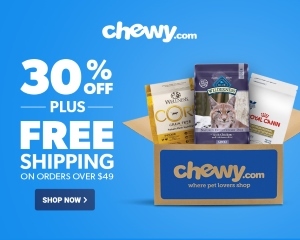 Never choose a cat collar with a traditional belt-style buckle or other non-breakaway design. In addition to a breakaway buckle, some cat collars feature elastic segments for flexibility. A well-fitted collar is a safer collar. If your cat’s collar is too loose, it’s apt to catch on something, potentially harming or even strangling your cat. Adjustable collars are a necessity. 2. The best cat collars are comfortable. Most cats don’t like wearing clothing or jewelry, and some of them will find a collar deeply uncomfortable. Choose a collar that’s made from soft materials and which has a reputation for kitty satisfaction. 3. The best cat collars encourage identification. When combined with custom embroidery or an ID tag, your cat’s collar increases their likelihood of being identified if they escape the house. Any collar will identify your cat as a housecat rather than a feral, but one with built-in identification gives your cat a voice. 4. The best cat collars are durable. What’s the use of a collar that falls apart after a few weeks of wear? Strong, sturdy collars made from high-quality materials will serve your cat for years. Can cat collars prevent your cat from killing birds? There are a couple of collars that have been proven to prevent cats from killing birds. Neither of them have bells. Bells can help you to hear your cat move through the house, but they do little to protect birds. The Birdsbesafe is a brightly-colored fabric ring that slips over your cat’s collar and visually alerts birds to your cats’ presence. The Birdsbesafe has been tested and proven to reduce bird killings by up to 87%. The CatBib is another collar attachment designed to keep birds safe. As the name suggests, it’s a large, awkward bib that prevents your cat from moving with the speed, agility, and stealth necessary for a successful bird hunt. Beastie Bands don’t look like your average cat collar and they don’t fit like your average collar, either. They’re made from stretchy neoprene and, because you can trim them to fit, Beastie Bands are a great fit for cats of all sizes. These unusual-looking cat collars are a cult favorite among breeders, people who foster kittens, and cat aficionados. They avoid the common problems associated with standard collars. Because they’re stretchy and have Velcro closures, they’re safe for even the most adventurous cat. In lieu of the D-rings found on most collars, Beastie Bands feature grommets through which you can attach an ID tag or bell. Of all the collars on the market, this one probably offers the most features. It glows in the dark, has reflective strips, and comes with a removable bell. But it’s in the buckle that this collar really stands apart from the rest of the crowd. This buckle exceeds expectations by featuring sensitivity settings. These settings are based on your cat’s weight and allow you to choose how easily the breakaway buckle will snap open. The Rogz collar has an adjustable length of 8”-13”, making it appropriate for larger kittens and cats. While flexible for these cats, the collar is probably too big for the tiniest of kittens. A customizable embroidered collar offers all the benefits of an ID tag without the discomfort of an ID tag dangling from your neck. Because they’re lightweight and streamlined, this style of collar is a favorite among sensitive cats. 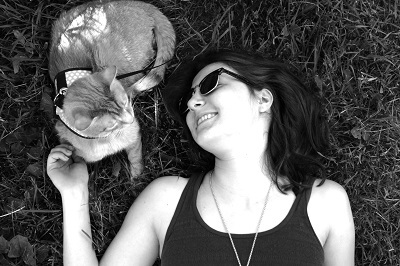 A customizable collar isn’t limited to your cat’s name and phone number. If your cat has special needs, you can request that they be printed on the collar. If your cat gets lost, this message will increase the chances that they’ll receive appropriate care. In addition to selecting the text embroidered into the collar, you can also choose the color combinations. The company offers five background colors and 15 thread (text) colors. Although the collars are adjustable from 8”-12”, you’ll find that the sliding adjustment buckle tends to cover some of the embroidered text. While still legible, your custom message will be more difficult to read. If charm is one of your priorities when shopping for a cat collar, you might like these colorful collars from Blueberry Pet. 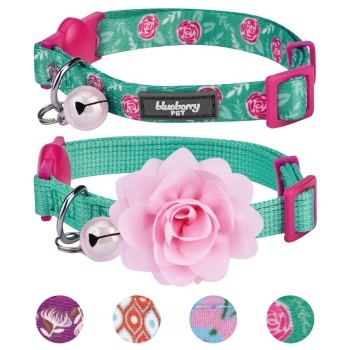 These floral bell collars come in 10 different color and pattern combinations. They come in packs of two, each featuring colorful collars with coordinating flower adornments. You might not want your cat to wear one of these bold collars every day, but when you want to feel festive or doll your cat up for a photoshoot, these floral bowties are a fun twist on the everyday. If you’d rather your cat wear the collar without the flower accessory, you can easily take it off and put it back on at your convenience. The collars have a breakaway buckle and are adjustable between 9”-13”, so they’re appropriate for small to large cats. Finally, here’s a bracelet and collar set that helps you and your cat to show off your bond. While the bracelet has a minimalist cotton design, the collar has an added touch of style with a lightweight beechwood bowtie and antiqued D-ring for ID tags or a bell. This set is obviously adorable, but does the collar hold up to our criteria for greatness? The collar is made from soft 100% cotton and has a breakaway buckle for safety. On the not-so-great side, it’s smaller than some other collars. Your adjustment range is limited to 8”-11”. Because it’s attractively packaged and, according to customer reviews, well-made, this set makes a good gift. You should never use a collar to walk your cat. If you want to take your cat out for a walk, check out our list of the top 5 best cat harnesses on the market. I have a feral cat that I feed. I named him Ethan which means survivor, but sometimes I think of buying him a glow or reflective color, maybe even with a bell. Then at same time I think cats are pretty low key and if I was out here in the streets as a feral cat I wouldn’t want anything to make me more noticable. As an ex feral cat myself, I must say I do like collars but it every cat is different so you would just have to try and see how it goes.